I developed a bit of a curse with weather and shooting high school sports. The weather seemed to spite me nearly every assignment. I arrived at the field with the sun shining and left completely drenched in the middle of a mini monsoon. I then had to work the rest of the day in soaking wet jeans. Nothing feels better than wet denim. WATERLOO, Ont. 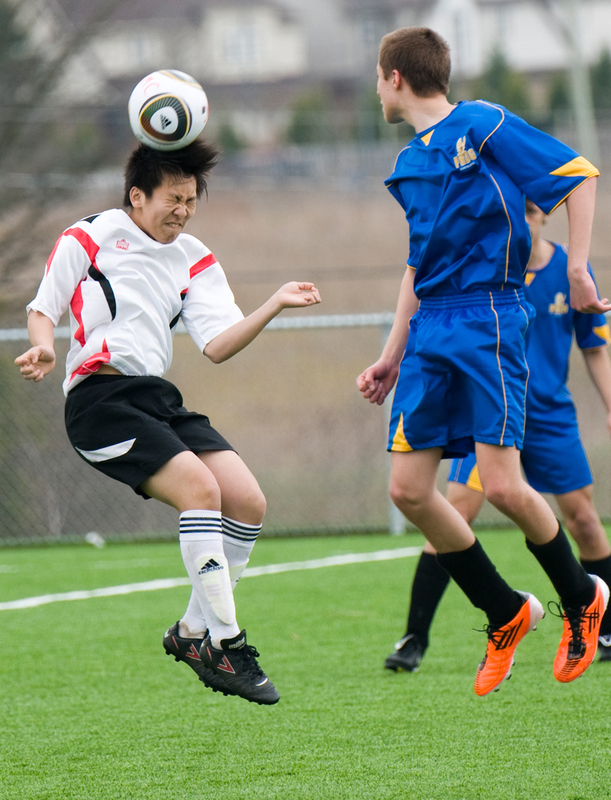 (27/04/11) -- Rockway Mennonite player Jason Wu heads the ball next to Pere-Rene-de-Galinee player Marc Nagy in a District 8 game at Rim Park on Wednesday April 27. Photo by Shannon Storey. WATERLOO, Ont. 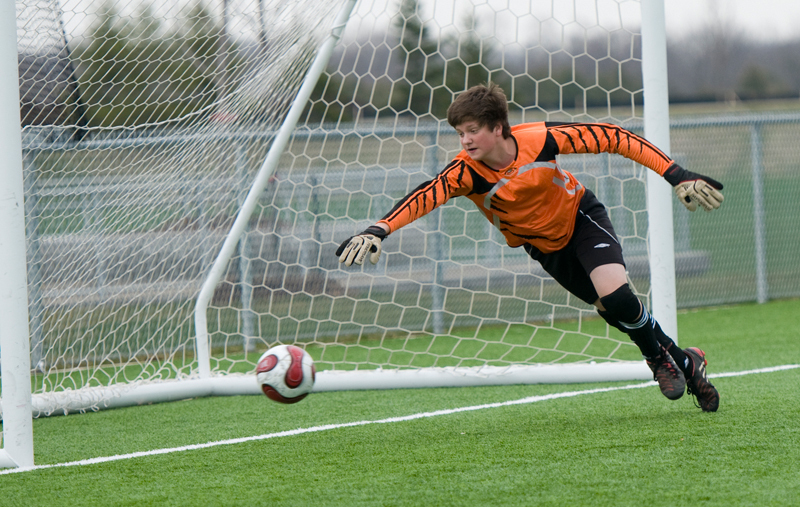 (27/04/11) -- Rockway keeper Michael Born dives to make a save during the second half of a District 8 game against Pere-Rene-de-Galinee at Rim Park on Wednesday April 27. Photo by Shannon Storey. Saturday, April 16, 2011...one for the fridge.